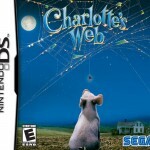 Charlotte’s Web is coming to Nintendo DS, GBA, and PC just in time for the holidays! You’ll be able to play this classic tale just before the release of the Nickelodeon Movies/Walden Media/Paramount Pictures holiday film starring Dakota Fanning, Oprah Winfrey, and Julia Roberts. 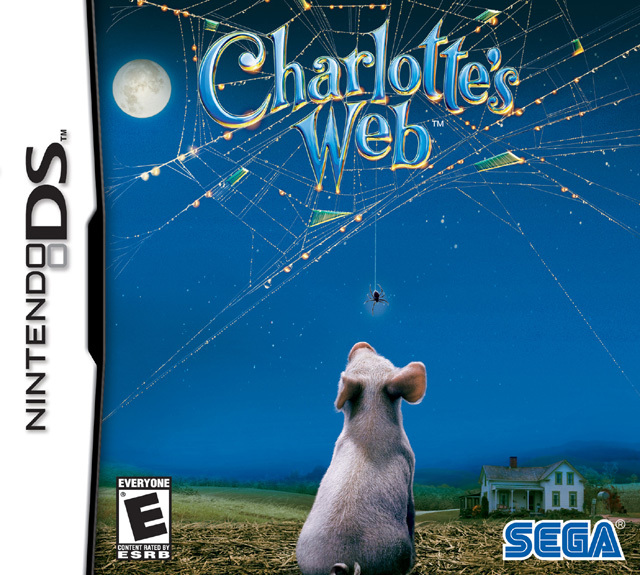 In the DS and GBA versions you can play as Wilbur, the pig, or Templeton, the rat. Explore the Zuckerman Farm, the countryside, a junkyard, and the Country Fair. Throughout the journey, you’ll unlock arcade-style mini-games and take on a variety of amusing and complex missions. When you’re not collecting letters of the alphabet to help Charlotte spell out messages in her web, you’ll keep old Farmer Zuckerman occupied by stashing his firewood so he forgets all about your animal friends on the farm. Charlotte’s Web Activity Center for the PC CD offers nine complete games featuring the popular characters from the Nickelodeon Movies and Paramount Pictures film and will make the perfect holiday gift. 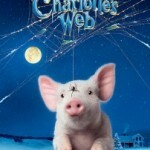 Charlotte’s Web Quiz: Which Character Are You?